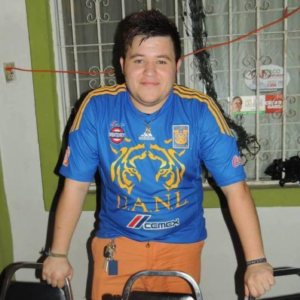 For this month’s developer spotlight, we interviewed Alan Flores, who was hired this year at HackerX Monterrey in January. It was amazing, it’s a wonderful experience and you’re exposed to so many in the IT industry. I went with the intention to network and meet a lot of people and HackerX does just that! 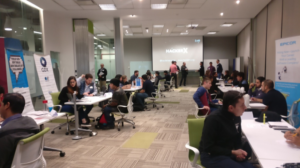 I went into HackerX Monterrey wanting to network and meet a lot of people, both companies and fellow developers. HackerX met my expectations that I was able to network with companies and also talk to devs while waiting to talk to companies. I went to meet a lot of people in IT and I did it! It’s an amazing experience because it gives you the opportunity to be exposed to many different kinds of companies and makes it possible to have a chance to work in the company you want to work. Plan beforehand an answer to possible questions recruiters could be asking you. Be yourself and have fun! Bubenik is currently working at NEORIS as an IT Software Developer. You may also check him out on LinkedIn.